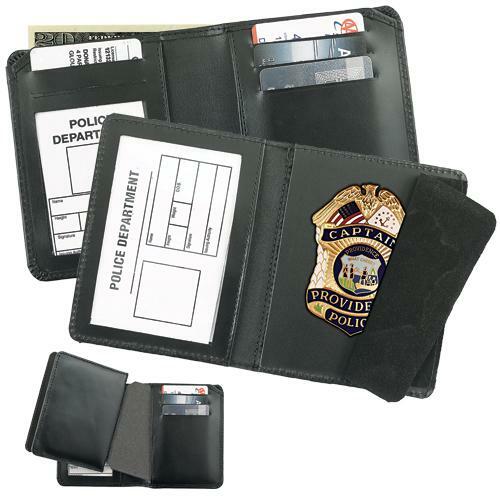 This case allows for separation of the badge and ID section from the wallet. The badge case may be inserted or removed from behind the credit card section. It also includes a money section and license window. 79270 2 3/4" x 4" 2 3/4"